Manchester United and England captain Wayne Rooney believes that the debate about where he plays for his national side is an ‘overreaction,’ and that he still feels as if he is making a worthwhile contribution in helping the team win. 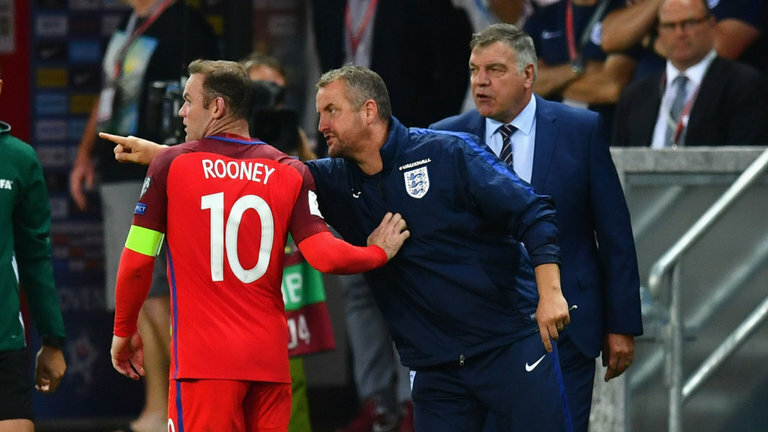 Rooney became England’s most-capped outfield player in the 1-0 win over Slovakia on Sunday, but his performance in what was a deep midfield role sparked debate over whether he should be playing so far back on the pitch; or whether he should be playing at all. However, Rooney believes that ‘too much’ is being made of where he plays, despite not touching the ball once in the Slovakian penalty area. “I played in that role and helped us win the game. Too much is getting made about it,” he said. “I’ve done it my whole career and suddenly it’s big news. It’s not a big thing and I think there’s a big overreaction to it. “I’m playing on the pitch for England. I’m captain of the team and I feel I can do a very good job in the role.